Improvement in word attack skills reflects in improved literacy - word attack skills help children to work out words for themselves. When children sound out a new word, they mainly look at the first and last letters - for short cvc words they can pretty much guess the middle! For longer words, they need to break the word down into pieces, tackle each piece separately and then put it back together to form the complete word. 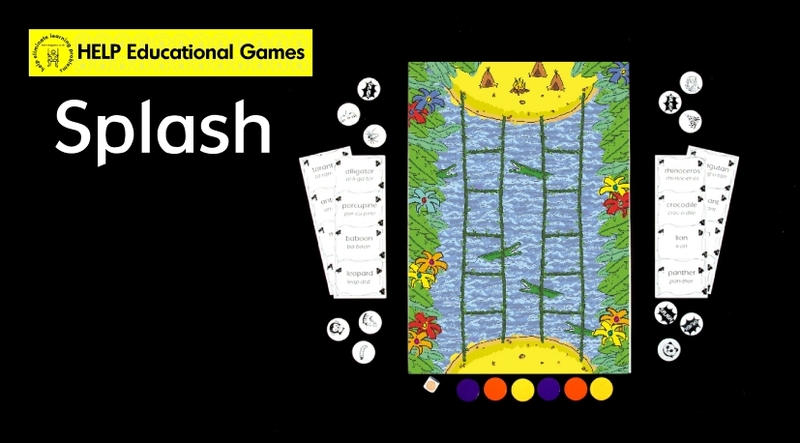 There are many techniques and strategies for word attack skills - our game Splash assists with phoneme segmentation (children learn to count the number of sounds in words) and counting and matching syllables. Play carefully to get all your jungle explorers safely across the crocodile infested river!